A fabulous design to preserve your unfinished champagne bottle. 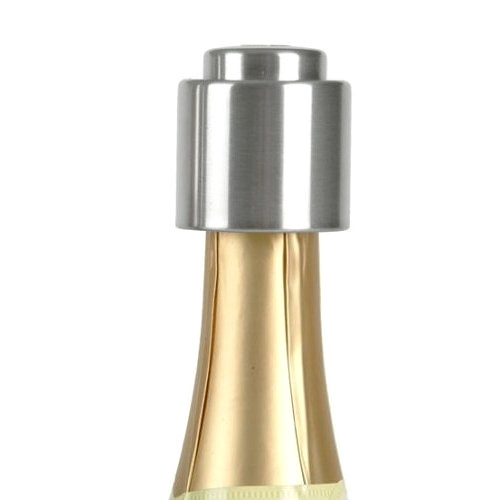 Simply push this bottle stopper down onto neck of open champagne bottles and it self locks with an air tight silicone seal keeping the bubbles where they should be. To release, simply press down the button on the top. The button top has 'CHAMPAGNE' engraved into it. Designed to fit standard champagne bottle necks. Made from high quality Stainless Steel.